With a sales-tax “holiday” starting next week, retailers are expecting big spending on disaster-preparedness supplies by Floridians who have fresh memories of Hurricane Irma. The six-month hurricane season arrives June 1, along with a weeklong period in which state and local sales taxes will be lifted on a list of disaster supplies. The discount period, for example, means about 90 cents to $1.05 in sales taxes will not be applied to a $15 package of batteries or $45 to $52 is left off the purchase of a generator that costs $750. Expanded from three days last year, the tax holiday has drawn added attention after Florida experienced hurricanes in 2016 and 2017 following more than a decade without a direct hit. Hurricane Hermine hit parts of North Florida in 2016 and was followed by the devastating Irma in 2017. Not as ingrained in the shopping culture as back-to-school tax holidays, which the state has made a nearly annual event since 1998, the “disaster preparedness” holiday period is projected to cut state revenue by $4.6 million. Local governments will experience a $1.2 million reduction in revenue, according to state economists. Miller’s optimism for the tax holiday, which will run from June 1 to June 7, is that many Floridians will recall the rush on supplies that occurred as Hurricane Irma barreled through the Caribbean Sea toward Florida last September before impacting nearly all of the state. Floridians are also expected to get a hurricane season wakeup call this weekend as a subtropical storm named Alberto churned Friday over the northwestern Caribbean Sea just east of Mexico’s Yucatan Peninsula. 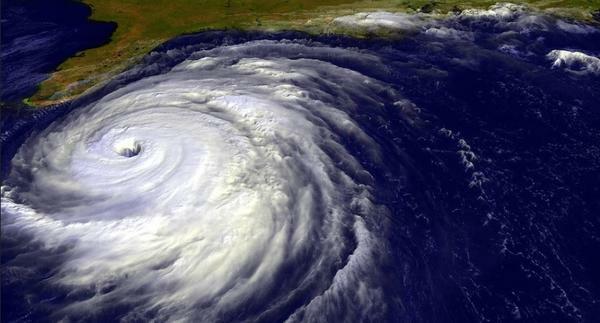 On Thursday, the National Oceanic and Atmospheric Administration released what it considered an outlook for a slightly above-average hurricane season, which means 10 to 16 named storms, of which five to nine are expected to reach hurricane status. Mark Wool, the warning coordination meteorologist at the National Weather Service's Tallahassee office, said the pre-season outlook is intended to serve as reminder that people need to do storm planning. --- Portable self-powered light sources that cost $20 or less. --- Portable self-powered radios, two-way radios, or weather band radios that cost $50 or less. --- Tarps or other waterproof sheeting the cost $50 or less. --- Ground anchor systems or tie-down kits that cost $50 or less. --- Gas or diesel fuel tanks that cost $25 or less. --- Packages of batteries, excluding automobile and boat batteries, that cost $30 or less. --- Coolers that cost $30 or less. --- Portable generators that cost $750 or less. --- Reusable ice that costs $10 or less.